Are you struggling to find new customers for your small business? 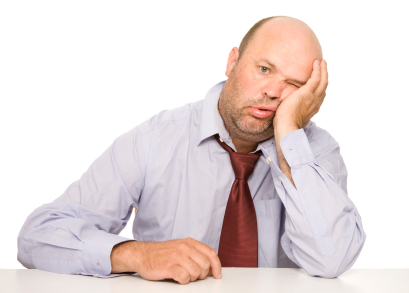 Our done-for-you press release service can help you. 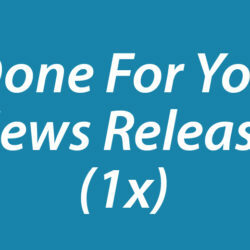 Here are 30+ topics you can write a news release about to help boost traffic to your website. Are you struggling to find new customers for your small business? Our done-for-you press release writing and distribution service can help you get more leads and customers. One of the many great benefits of using our service is that we will fully manage your campaign, freeing you up to focus on running your business. After signing up for one of our press release writing and distribution service options (i.e. single or monthly releases), we will get in touch with you to learn more about your business and begin preparing your campaign. We will research, write, and distribute expertly-written news releases to hundreds of leading news, TV, radio, and media sites, which also get syndicated to thousands of other blogs and websites, resulting in increased traffic, better Google search and Google map rankings, more exposure online, and more local visibility for your business. 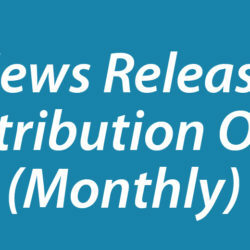 Once your campaign is up and running, we will provide you with distribution reports (e.g. 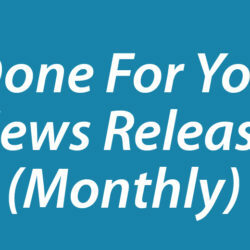 monthly reports if you choose our monthly release service). To ensure that we deliver you the most effective results possible when running your campaigns, all you need to do is keep us up-to-date when new, timely, or newsworthy things happen in your business. Check out all the topics below you can write a news release about to help boost traffic to your website. If your business is struggling to find new customers and you have not signed up yet to the cost-effective DistributionPress service, go here to learn more, or click here to start getting better business results.